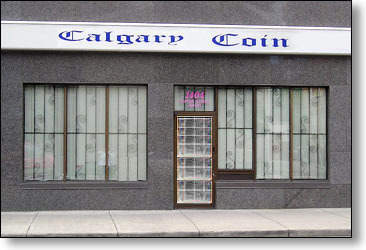 Calgary Coin Gallery is located on the edge of downtown Calgary. It is best to phone aheadto confirm the owner is not away at an out-of-town coin show. Nice coins, very friendly. Recommend!!!!!!!!!!! Great coin store with a good selection of Canadian and US coins as well as coins from around the world. very helpful and friendly staff and competitive pricing. I highly recommend this shop.